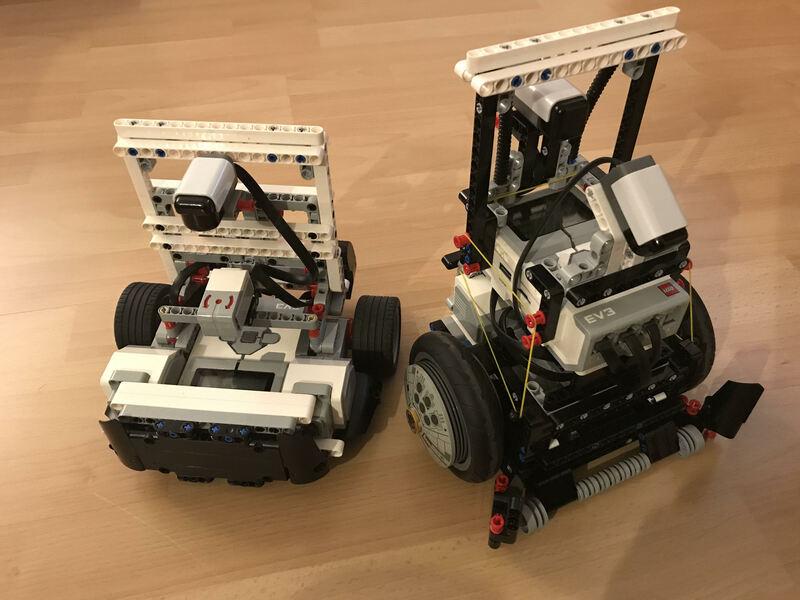 The World Robot Olympiad (WRO) is a global robotics competition, which was founded to spark children and teen interest and enthusiasm for science and technology. Across several categories, young people work together with their trainers in small teams on the year's tasks. At the end of the competition, the solutions developed by each team compete against one another to qualify for the WRO German final, where teams can then win starting places at international events. One of these categories is the Football Category where teams play against one another using robots made from logo materials – and this category is particularly interesting for us as we have our own stake in it (well indirectly, at least)! programmieren.de sponsors the project group "We, RoBITs"
//SEIBERT/MEDIA has been running the on-going initiative programmieren.de for years now: Every two weeks we welcome children and teens at our Wiesbaden office and teach them the fundamental principles of programming. Furthermore, programmieren.de frequently supports schools with their digital projects. One such school is the Immanuel Kant School in Rüsselsheim. We have been working with Christian Duncker here for quite some time now and works together with students in the project group We, RoBITs. And now, We, RoBITs' "Team SOLO" is now fighting for a place in the German final of this year's World Robots Olympiad. Team SOLO is made up of Nadine (11 y/o) and Julian (9 y/o). They are both competing for the first time and as the youngest participants in the long-standing Football category, extremely proud to be going up against the other teams with their work. Nadine and Julian are proud first-timers at the WRO. At the WRO, Team SOLO will compete for //SEIBERT/MEDIA with Chewy the goalie and Han the striker. Both robots are already finished. The youngsters are currently working on programming them. They have their eyes on the prize: The team wants to make it to the German final 2019 and show all of the other teams that simple constructions aren't necessarily lesser constructions. For example, Chewy the goalie is the only robot in the project group that can be put together in ten minutes. And to top that off, they've broken the standard programming rules for a goalkeeper and developed an entirely new defense strategy for Chewy. Han and Chewy are on the field for Team SOLO. "Learning to program is like having a superpower – you can use it to change the world!" You can find all the details about taking part in the programmieren.de project on the website (German only).